Humans are the most plentiful race and inhabit every country in Dolennar. They can be very noble, but also very selfish. They are more susceptible to following the enemy than some other races. Their appearances and temperament vary greatly, and they have a lifespan of about 100 years. _ Elves are one of the most intelligent races in Dolennar. The majority live in Elimar and Althilion. They are the closest followers of Elohim and less prone to following the enemy. Their physical appearance is nearly the same as humans with some notable differences. All have long hair, no facial hair, and pointed ears. They are agile and quick, and have more acute senses than Humans. Elves are people of the light and hate prolonged darkness. They can have a very mischievous side to them and a wry sense of humor. They are very social and hospitable, readily offering aid to those in need. Their lifespan is about 200 years, twice that of Humans. They don't age in the same way as Humans and don't necessarily look that old at their deaths. Half-Elves are the children of Human and Elf unions. Their appearance and personalities vary greatly. Typically, they have the most characteristics of their father's race. Their lifespans also vary, but they generally age slower and live longer than Humans, though not quite as long as Elves. 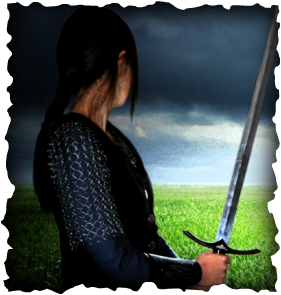 _Griffons are one of Dolennar’s intelligent creatures with the ability to think and speak as Humans and Elves. They have the body of a lion, but the head and wings of an eagle. The males range in color from golden brown to dark brown, while the females are darker, nearly black at times. They have very keen eyesight, and are invaluable for spying and scouting. Generally, Griffons have very friendly, easygoing personalities and can get along with just about anyone. They are mainly found near the Irrin Mountains, though some may live farther to the north. Griffons normally live to be around 150 years old. Dragons are the most noble of Dolennar's intelligent creatures. They were created by Elohim as companions and helpers to the Elves and Humans. They are very wise with Elf-like intelligence and the capability to speak. They are a fearsome, but beautiful creatures about the same size as a draft horse. They can be born with scales of any color or shade. 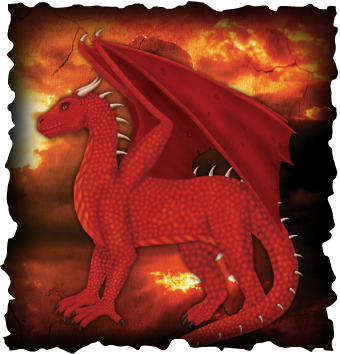 They are able to breathe fire, but only for a short time before it must build inside them again. Dragons are the longest living creatures. Many live to be over 500 years old. They are rare creatures and only give birth about every 50 years or more. Unlike many reptilian animals, they give birth to live young. 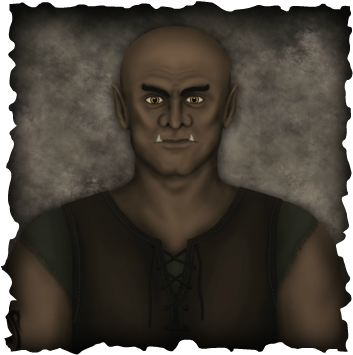 _Goblins are small creatures, only about five feet tall, yet despite having lean bodies, they are very strong. They are covered in thin, grayish-brown hair, and have long arms and fingers. They are typically nocturnal and prefer darkness where they can see best with their large eyes. They are extremely agile and excellent climbers. They can speak, but they act more on animal-like instinct than conscious thought. Highly intelligent creatures, they are very mischievous and sneaky. They are known throughout Dolennar as notorious thieves. 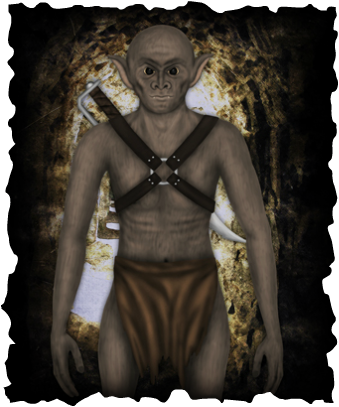 Goblins came from the wild lands of northern Dolennar. They are typically mountain cave dwellers, though many also dwell in the deep forest. Ill-tempered, they are usually not found in groups of more than two or three unless they unite for a common goal. Compelled by greed, it took little persuading for most to join Zirtan. _ Shaikes are large, almost human-like beings. They are dark skinned, incredibly strong, and usually about seven feet tall. Though able to speak and think, most are not as intelligent as the other races. Their voices are deep and growling. 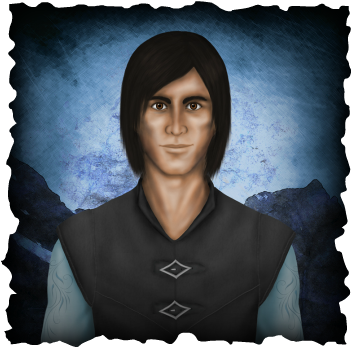 Shaikes originate from the lands of northwestern Dolennar, now called the Black Lands. Centuries ago, they lived in communities on the plains and forests of the Black Lands, keeping to themselves, where they raised various herd animals for food. They were not considered hostile until Zirtan came to them, pretending to be the god they had created to worship. Many believed and chose to follow him. Those who did not were either enslaved or killed as Zirtan took over the country. In the present, most Shaikes are born into Zirtan’s service and don’t even know what life was like for them in the past.